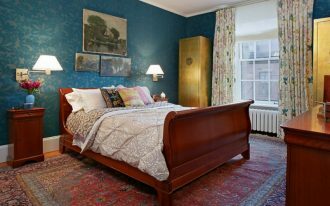 Bedroom is one of private spaces where it reflects your personal style. 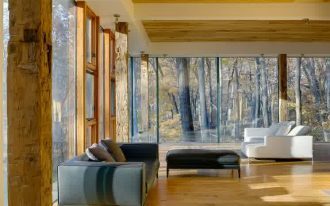 The space is commonly designed as the coziest place to get relaxed and to take a rest for hours. 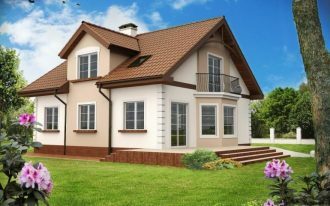 To meet this issue, all things should be prepared well, including the bed frame choice, and I would say that platform bed is the best recomendation for the coziest, largest, and most stylish bedroom. 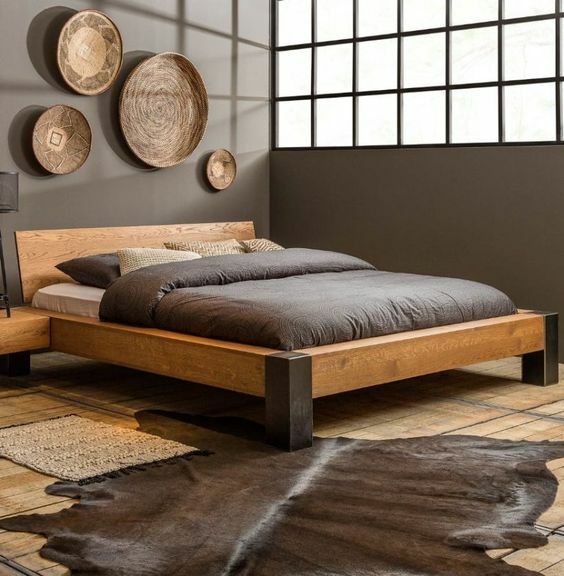 Made of organic wood, the platform bed offers warm look as well as natural appeal in bedroom. 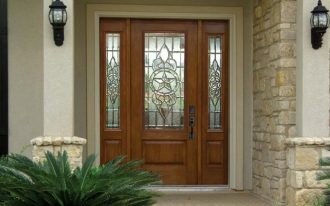 The overall design also showcases clean lines and minimalist look so it trully meets the modern style. 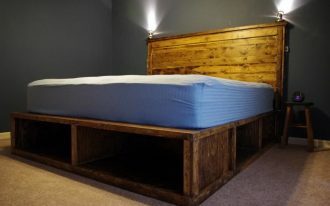 Well, to give you more references of platform beds, here I’ll share 10 best ideas of platform bed frames that amazingly inspire you. Let’s check them out. 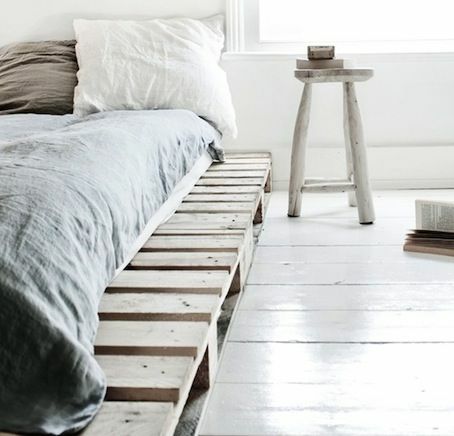 This wood platform bed frame adds rustic touch to this bedroom. 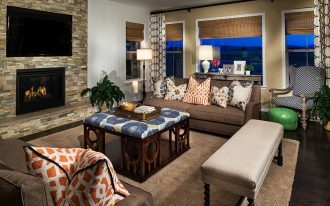 Of course it makes the space so special and feels so homey. 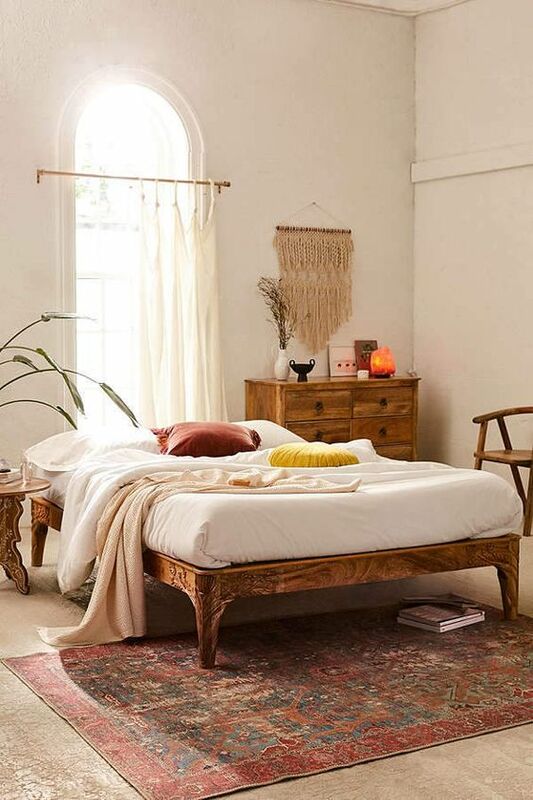 With the best handy carves (with floral vintage patterns), the bed delivers the artistic art that visually gives the additional texture to this room; and mango wood brings the natural finish to this bedroom, too. 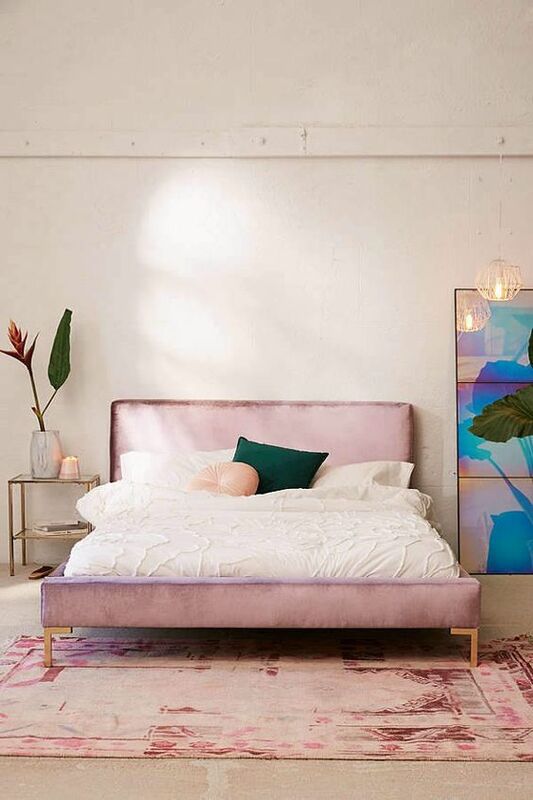 Urban Outfitters always provides so many options of cool furniture like this platform bed frame. The product is completed with minimalist frame with straight headboard and lifted platform. In velvet tone, the bed looks gorgeous. The brass legs also points out the modern style. Awesome! 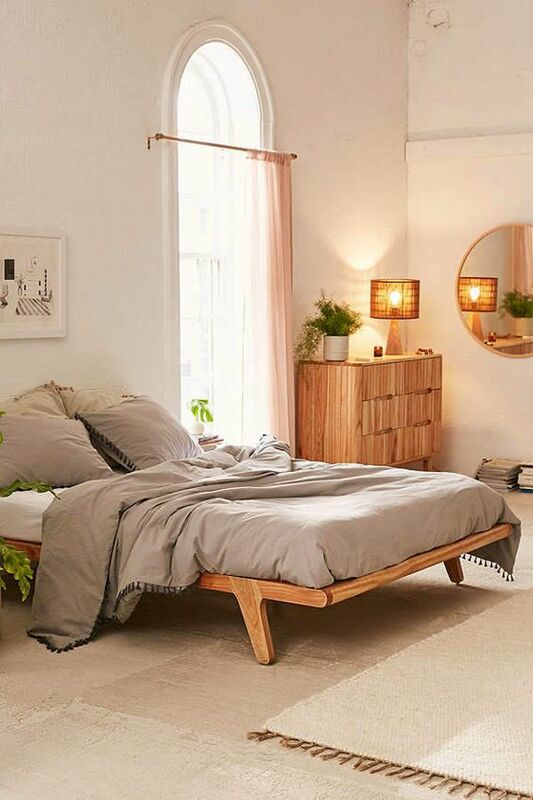 The slanted legs and slatted surface make this bed modern, and its natural grain wood finish offers soft and warm look, making you wanna stay for hours. Higher and heavy look, this is perfect description of this platform bed. The bed is supported with a pair of pull-out drawers where you can keep the supply of blankets, duvet covers, and even shams. Flat and large. 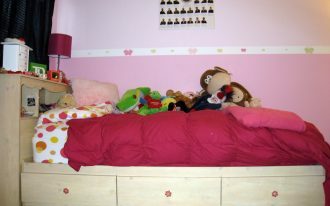 This type of bed’s surface of course will provide more space for mattress. More interestingly, the headboard is designed separately with the bed frame, creating a uniqueness in your bedroom. Personally, I see masculinity on this bed especially through its basic material, design, and bed treatment choices. The use of hardwood is clearly applied on the whole parts of bed frame, and the natural wood finish used in this bed allows you to feel the original texture, tone, and scent of the organic wooden. To provide more space for nap, this platform bed is designed in larger surface, and its low profile allows you to use the bed comfortably. 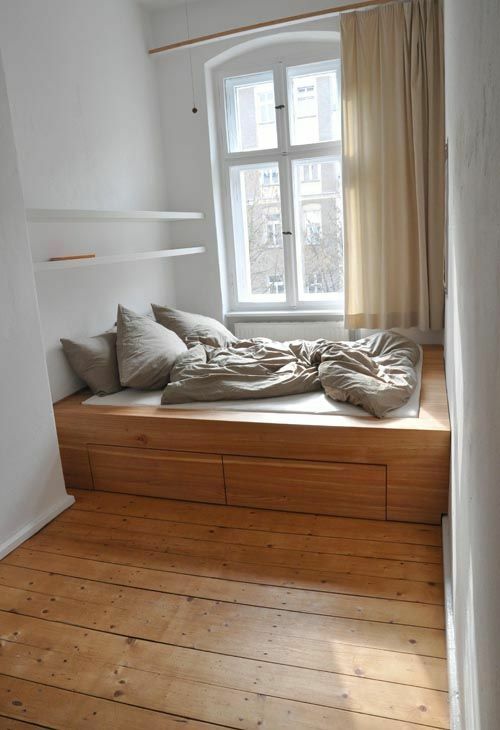 I really like the wooden used as the bed’s basic material; it has similar tone and texture with wooden wall behind the bed. White platform bed frame here is intentionally added to create a dreamy white bedroom decor idea. 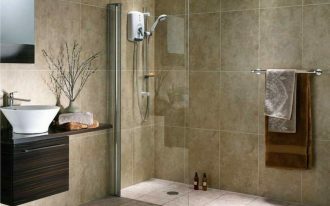 It performs simple and clean lines surface which is made of very light wood planks. There are also some shelving units under the bed, providing enough space for some books or magazines. 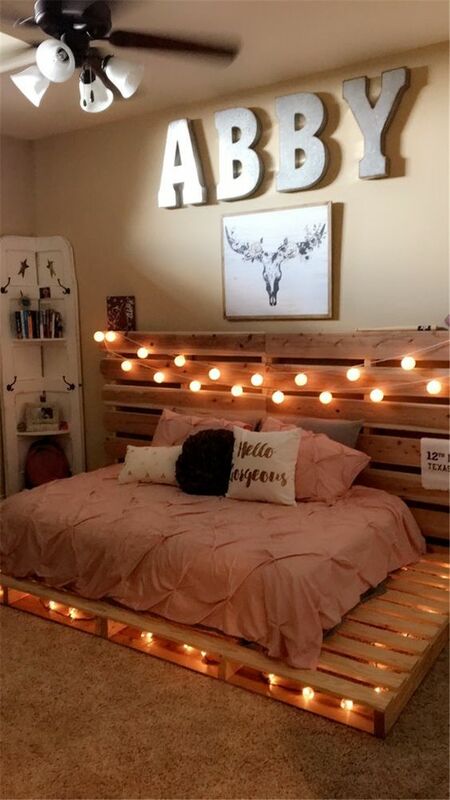 As if the bed is floating, but it’s not. All legs are placed in unseen spots, and look at the headboard, it’s just the decorative wood plank. 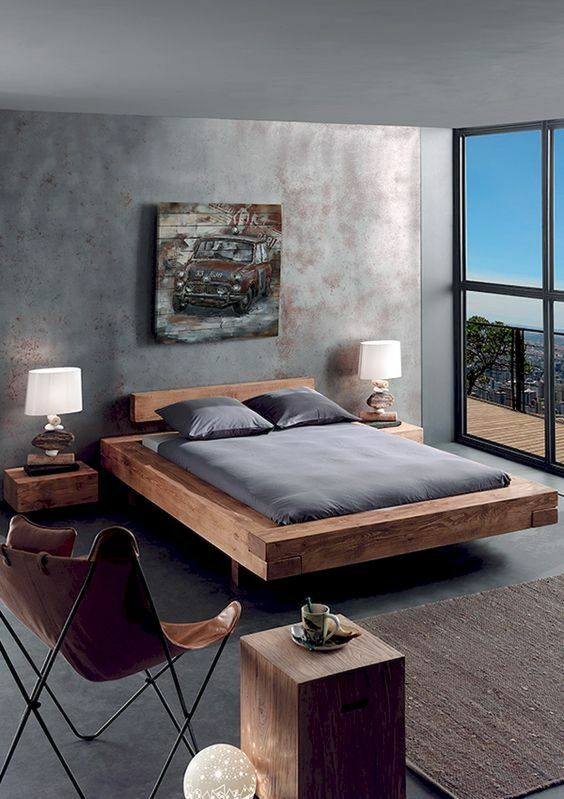 Featuring the bed with leather and concrete finish makes the assumption that this bedroom is specially designed for user with masculinity, and the dominance of dark hue here tends to the modern-industrial style. 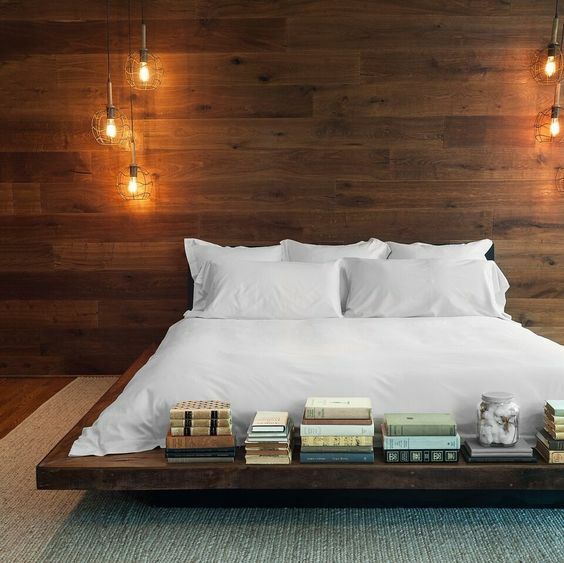 So fancy, a platform bed frame accented with string lamps on headboard and bed’s bottom. 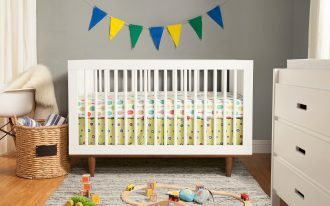 It’s true that the bed surface is larger, so it can be used as the extra seat or the free space for putting the favorite books. The string lamps here of course can produce beautiful glams when the bedroom’s light is off.